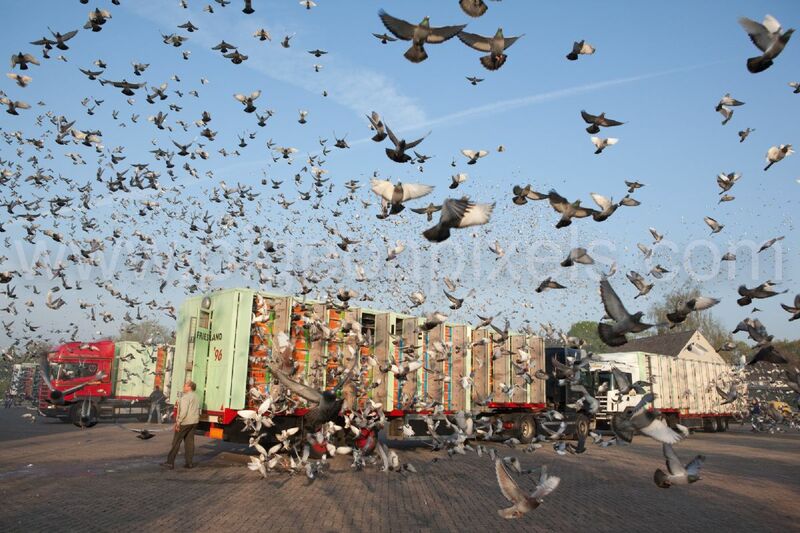 Last weekend we won 7th NPO Bourges vs 4,443 pigeons with our NL16-1310997 'Lady Guusje', daughter to NL12-1355632 'Hannibal' x NL15-1875429 'Katja'. A week earlier her sister NL17-1055999 'Maayke' won 8th Provincial Nanteuil 8,418 p (1st vs 115 p)!! 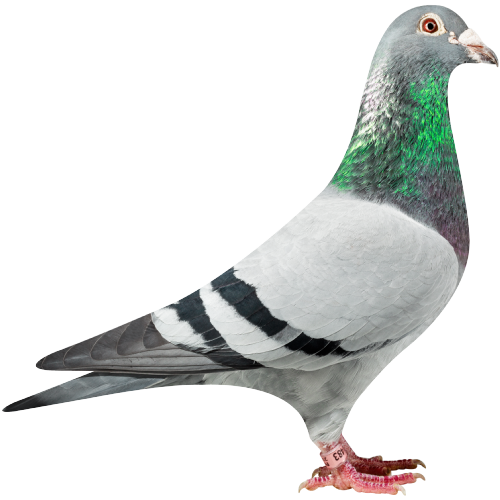 NL16-1310997 'Lady Guusje' was 33rd national ace pigeon yb in the Fondspiegel-competition in 2016 and won among others 1st Gien 116 p (56th NPO 5,615 p), 1st Bourges 66 p (7th NPO 4,443 p), 16th Chimay 5,394 p, 55th NPO Laon 3,798 p, 50th Quievrain 3,102 p, 21st Melun 1,033 p and so on. 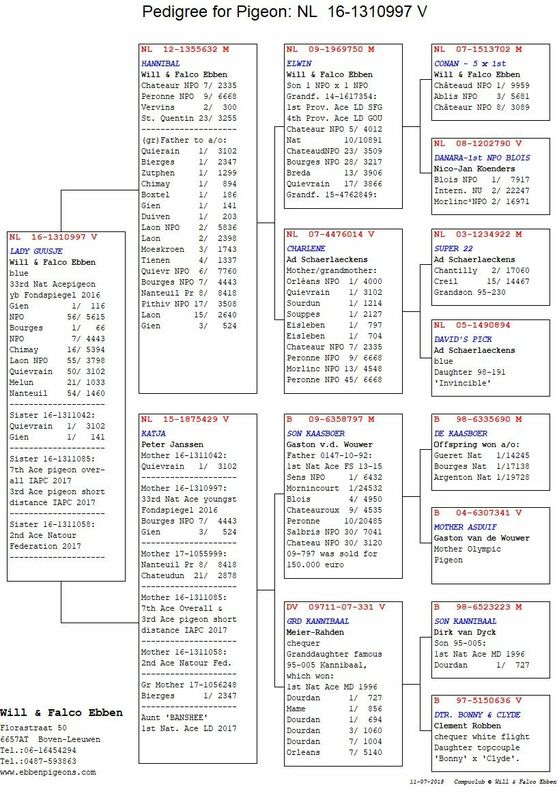 For her pedigree click here. We won 3 x 1:10 out of 13 entries on this race and it was a race soon to forget. 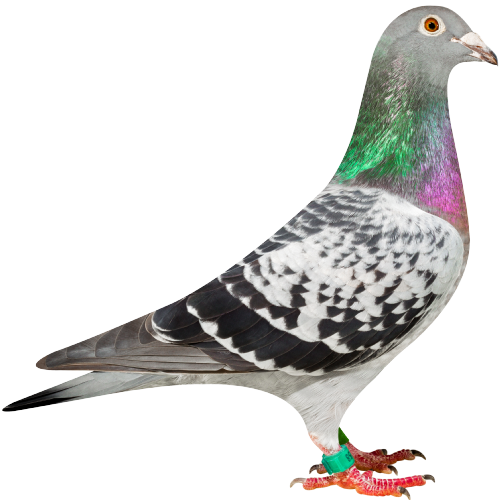 We lost our first nominated pigeon NL16-1310964 'Lara' which was 1st in the intermediate position for ace pigeon one day long distance in our federation. 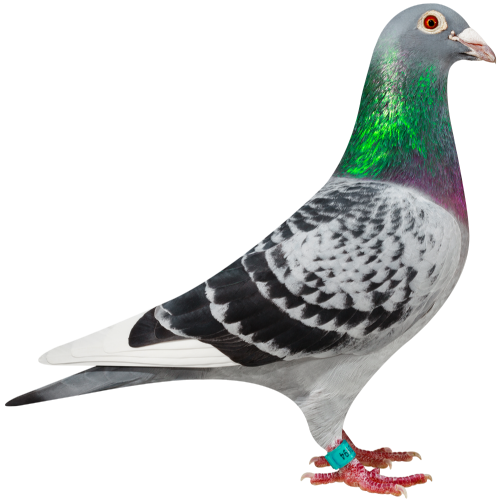 She won a lot of good prizes, among others 2 x 1st and the 4th NPO Pithiviers 3,508 pigeons earlier this year. In less then two weeks we have the national race from Châteauroux, we assume we have a better result then but with a 7th NPO we can not complain either.